I love this photo via cup of jo via The Selby. I want to dedicate a portion of my house to recreate something like this one day. 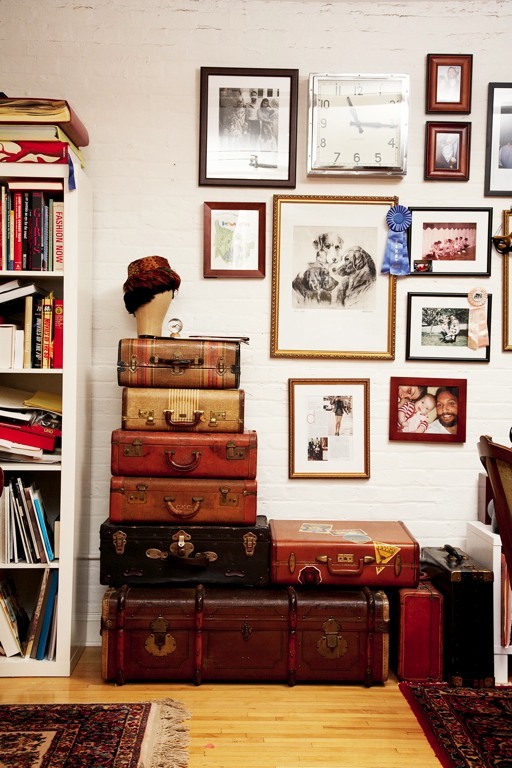 The old suitcases, the antiqueness of it all, the different sizes and I am sure a fantastic way to hide one’s clutter. Love it. i loved this image! the selby is so addictive! I know! I love your image. Are those your dogs? They are so cute. I love the stack of suitcases! What a fabulous decorating idea!